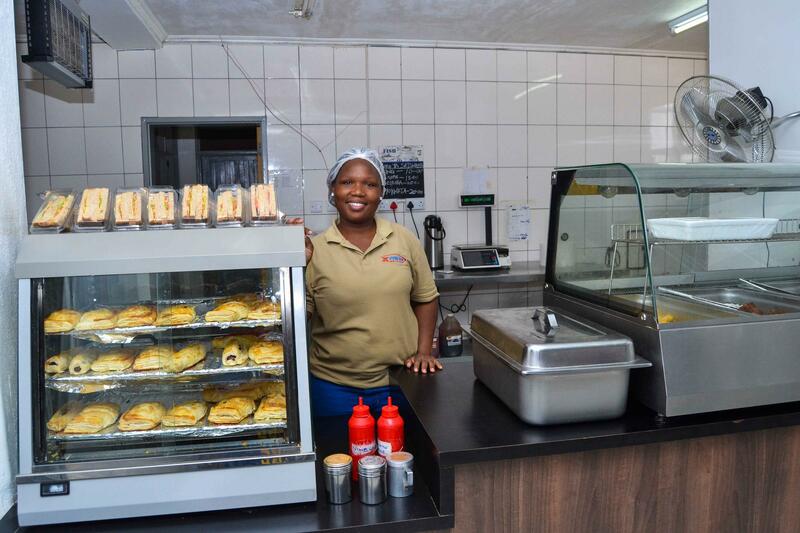 “If you can dream it and believe it then it’s possible all you need to do is start.” These are the words of Gaone Sedumedi, a wife and mother of two who juggles three businesses under the Xpress brand in the bustling mining towns of Orapa and Letlhakane. After working for 13 years in the banking industry, Sedumedi called it quits and ventured into small stock farming, producing Kalahari Reds goats. As with many other start-ups, the business soon hit rocky waters. 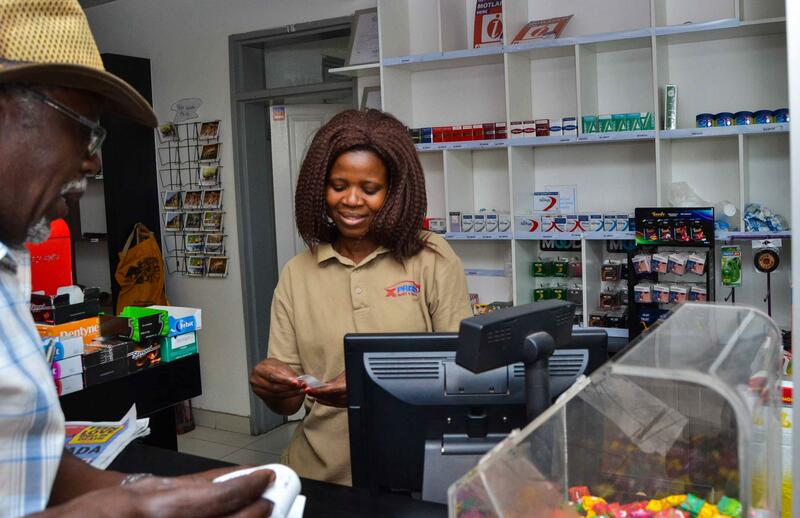 Sedumedi found herself saddled with a cash flow problem; she was incurring huge monthly running costs while her small stock business generated income seasonally. So she came up with a plan to open another business that would generate additional cash to help her support the small stock farming enterprise. Little did she know that she was on her way to realising her dream. Tell us the story of how you received funding from CEDA? 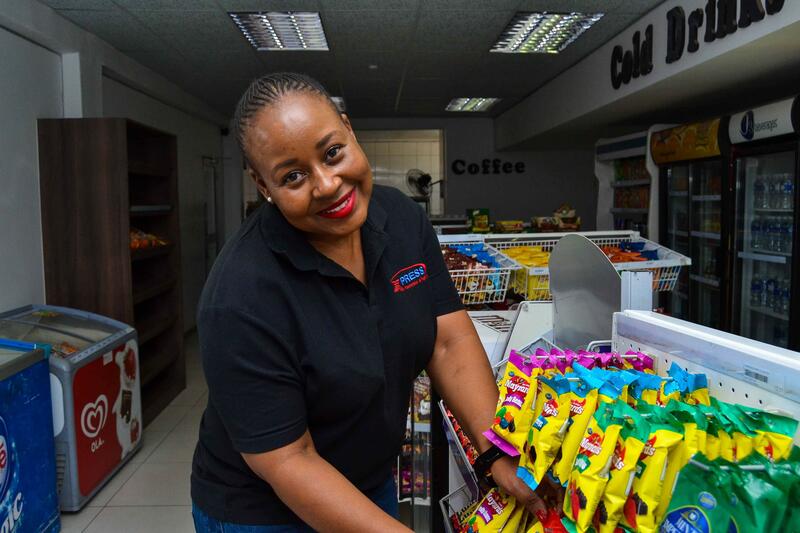 In 2014, I submitted a loan application to CEDA in pursuit of setting up a convenience store at a newly established Engen filling station in Letlhakane. Without the backup of an established franchiser, I named my convenience store Express Mart & Liquor. 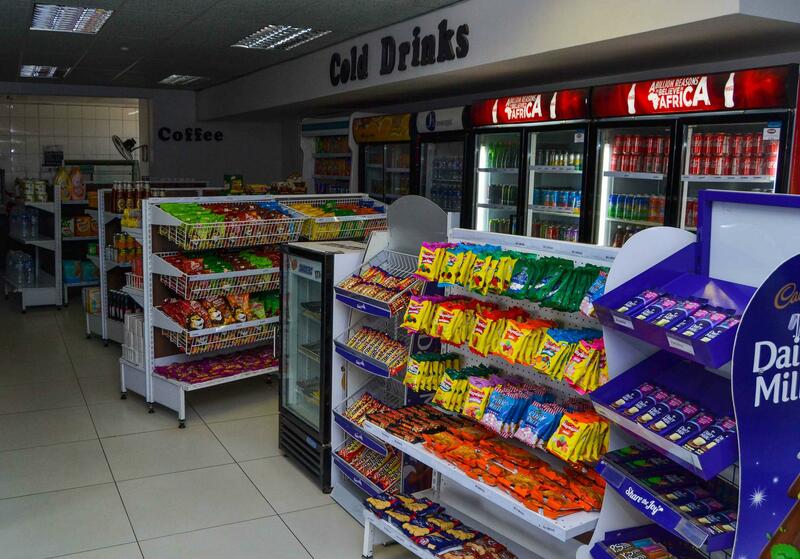 CEDA funded 60% of the start up capital for the convenience store. What does your convenience store provide? The business caters for locals and transit customers who purchase food, drinks and snacks. 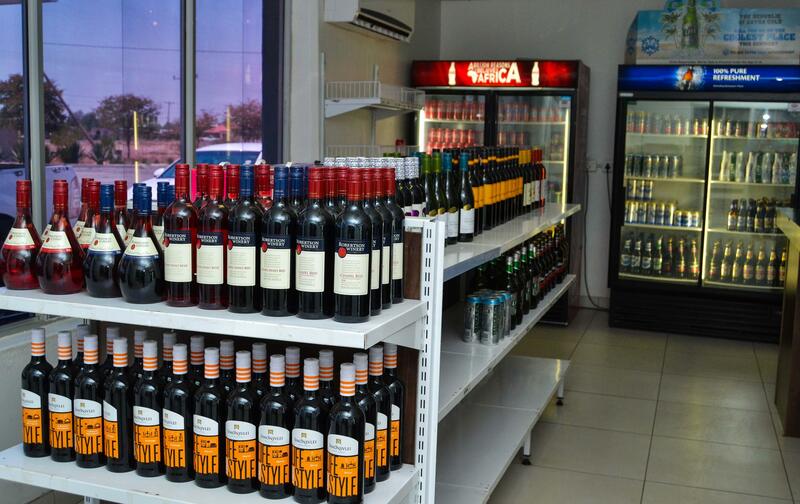 It also has a separate liquor outlet that operates as a bottle store. Express Mart & Liquor also provides much needed convenience for locals and transit customers during late hours. How do you market your business and keep customers coming back? Because I operate a one-stop service, I set up a Facebook page to market my business to transit customers. I have also trained my staff to maintain the highest levels of cleanliness and friendliness to clients. We pride ourselves in the look and feel of our shop. We always give our customers an efficient drive-through shopping experience, and our business has grown exponentially due to word of mouth marketing. It is with this commitment to customer service that spurred growth for my business and opened even greater opportunities. 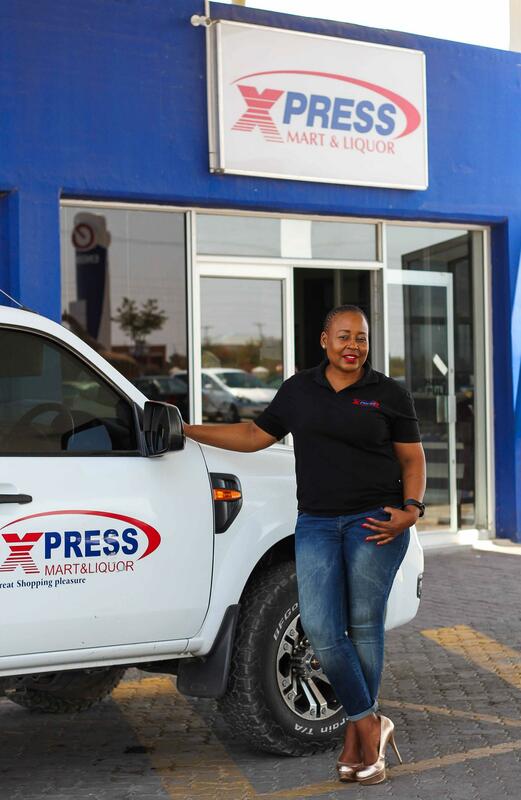 Two years after opening Xpress Mart & Liquor, I was back at CEDA looking for top-up funding to expand operations after acquiring a lease agreement to operate a general dealer within Orapa in premises owned by Debswana. How has your business grown and expanded? CEDA financed my expansion project, and I aptly named the general dealer Xpress Kiosk. I have also broadened the Xpress brand to include my catering business, called Xpress Pesonyana and Spit Braai. With the spit braai rotisserie machine, the catering business has proven to be a hit at weddings, private parties and corporate team building events. 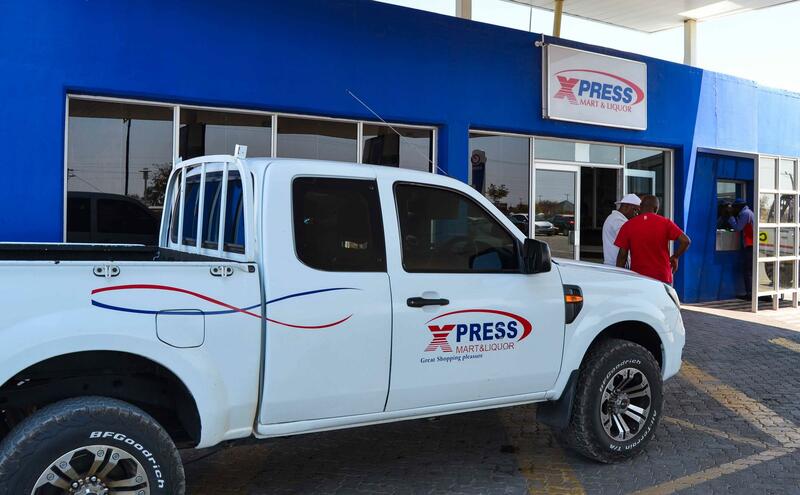 It’s growing exceedingly fast and we are excited about this new addition to the Xpress brand. What do you do to ensure that your business continues to grow? Over the years, I have managed to ensure growth by reinvesting as much of my profits as possible into the business. My business currently employs 12 people in Orapa and Letlhakane. The plan is to grow the Xpress brand into a global franchise. 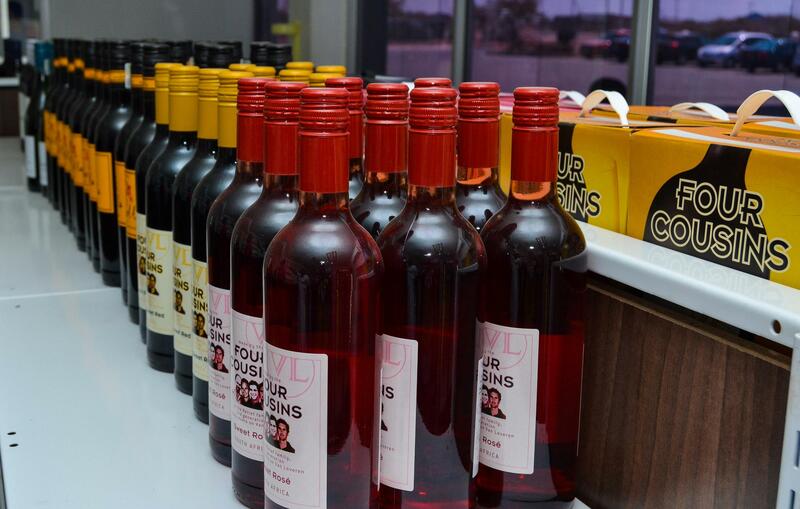 Locally, we want to be visible everywhere by opening outlets in train stations and hospital tuck shops. The road to success has not been without challenges for me. In the beginning my financial projections were way off the mark and I had to liquidate some of my assets to offset the financial shortage. I also had to contend with hostile suppliers who were not willing to deal with me as a start-up. I however eventually won their trust with my business prowess and they started trusting me by doing business with me. What advice could you give aspiring franchisees and entrepreneurs? I would advice aspiring entrepreneurs to make sure they know and understand their numbers and have some formal business acumen. Do your books everyday because that is the only way for you to understand the lifeline of your business. You need to know what is coming and what is going out. A business cannot be successful unless you are there to oversee what is going on. A business owner must build strong and long term relationships with their suppliers and customers as they will give you repeat business.